Superstar Salman Khan has said his upcoming home production "Loveratri" does not disrespect or demeans any culture. Some right wing organisations had objected to the film's title, which they allege distorts the name of a Hindu festival. 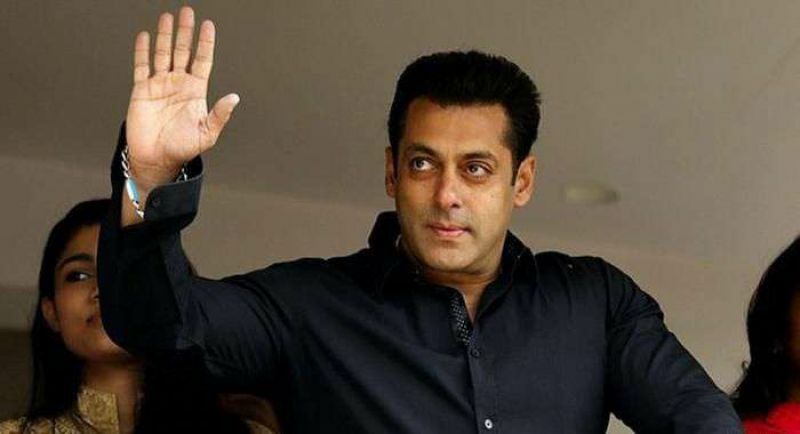 The film marks the debut of Salman's brother-in-law Aayush Sharma and Warina Hussain and is set against the backdrop of Navaratri. "Some people, I don't know who they are, have some problem with title of the film. It is a beautiful title. There is nothing more beautiful than love, so it is called 'Loveratri'. It is not demeaning any culture. Our prime minister is from that culture. So, when you play a character, like I played a sardar in a film or I played a Haryanvi in 'Sultan', I do it with a lot of respect. "We are making the film with Navaratri in the backdrop. We have made this beautiful film celebrating the music, colour, love and the fun of festive season. We don't need any publicity like that. Once the film is released those people will know there is nothing," Salman said in an interview on the sidelines of Bigg Boss launch here. The 52-year-old actor said he is sure the Central Board of Film Certification (CBFC) will pass the film with a 'U' certificate. "The censor board is the right body to decide. I am sure it will get an 'U' certificate. And if the censor board has given the certificate than I don't think anybody has the right to say anything." "Loveratri" is helmed by debutant director Abhiraj Minawala, who has served as assistant director on films such as "Sultan" and "Fan". The film is set to be released on October 5.